So for Matariki this year I decided I wanted to create some (Maori) New Years goals and resolutions. Well that didn't go exactly to plan. My life is kind of a mess of confusion right now and there's just no way that in one day I'm going to even remotely come up with a plan that will fix it. So instead of some lofty, wonderful, life-changing goals I wrote myself a Winter Bucket List. And you know what, I'm kind of excited about it. It may not be life-changing but it gives me some sort of fun plans. Right now that's good enough for me. So without further ado, here is my Winter Bucket List. There you have it folks. 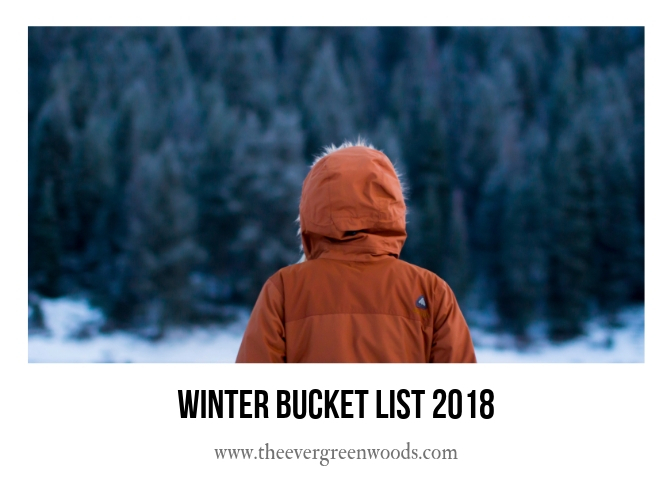 My Winter Bucket List for 2018! Do you have a bucket list for this coming season? I'd love to know what some of your items are!